A light, refreshing face oil, Mullein & Sparrow’s Rosemary & Sage Facial Serum offers a potent blend of pore-minimizing ingredients to those of us with combination/oily skin. Mullein & Sparrow brings together some of my favorite natural acne-fighting ingredients into this half-ounce dropper bottle. Black cumin seed oil combines with clary sage to give this treatment a truly antiseptic punch thanks to each ingredient’s astringent and anti-inflammatory properties. Black cumin seed oil is also high in zinc, which can tremendously help those of us with acneic skin. 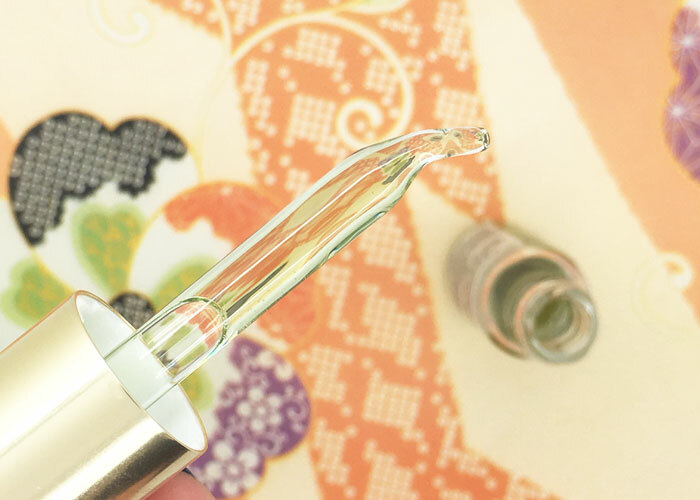 What I like most about this face oil is how potent it really is — and how little you need to use. Mullein & Sparrow recommends just 2-3 drops, and that’s truly all it takes, applied atop your favorite hydrosol, to gently treat and nourish your skin. As someone who regularly deals with hormonal acne, angry red spots and other odd skin issues, I appreciate seeing makers put together smart formulas that don’t encourage large dosages to get down to work. As someone who is also naturally very heavy-handed, I need a reminder that 2-3 drops will do — not my typical 6-7. This face oil offers that bit of calming, herbaceous delight that doesn’t always sit well with many noses. Lavender, chamomile, rosemary, clary sage and sandalwood come together beautifully for a grounded yet uplifting scent that has a tint of sweetness. I’m also getting sweet on streamlined ingredients lists, like the one above. There’s something about that sweet spot of more than three but less than 13 that gets my attention. (This formula has 9.) Tightly edited brand collections make a lot of us swoon; do tightly edited ingredients list do the same for you? 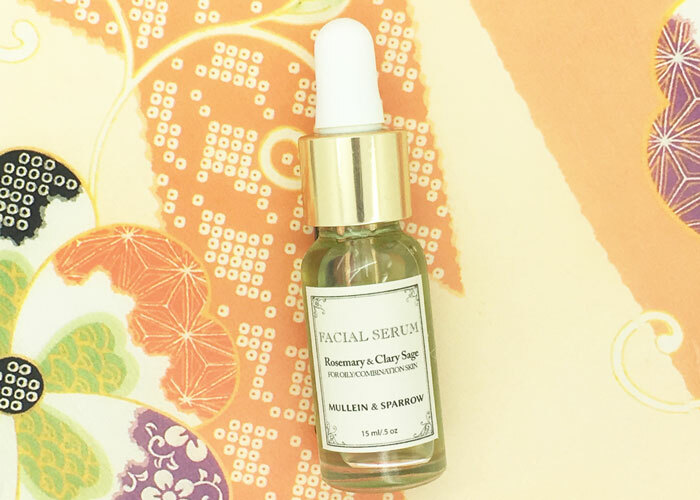 All in all, Mullein & Sparrow’s Rosemary & Clary Sage Facial Serum is a lovely blend to try if you have combination / oily skin that’s not sensitive to essential oils. The carrier oils are light yet soothe the skin, and the antiseptic properties of the blend are a match for acneic skin. What are your favorite antiseptic, anti-inflammatory facial oils? Have you tried anything from Mullein & Sparrow? What’s your take on ingredients list — the more the merrier, or tightly edited? Tell me in the comments section!